The Third Transnational Partners Meeting of project WWA. 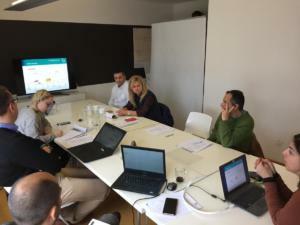 At 28 and 29 of November 2017, the third transnational meeting of the WaterWorldAdventure project partners took place in Porto. The meeting was hosted by Advancis, one of the two partners from Portugal who are participating in the project. The main topic of the meeting was an interactive ebook which is the key result of the project. Additionally, the partnership discussed the project management and further stages. The next project meeting will take place in Romanian city of Arad (May 2018).